All we need is love. In the name of love. What about love? Give a little love. Put a little love in your heart. Love songs flood the radios as we turn the calendar to February and pick out valentines. Then why do I feel like picking fights with dieters, diet-promoters and screaming at my television screen when a commercial comes on for the latest dieting show? We all know love wins. We all want to experience more peace in our lives. Most of us aim to be loving to others… most of the time. I’ll never forget the first time I heard Dr. Linda Bacon, HAES® advocate and author describe the HAES movement as a peace movement. She couldn’t have described it better. In fact, the movement is filled with peace, love, respect and acceptance. Be at peace in your body. So the feeling of wanting to go to battle with a Facebook friend who just doesn’t “get it” catches me off guard. And before I know it, I’ve put down my hearts and rainbows and I’m reaching for my sword. It takes a conscious effort to refrain from drawing battle lines, and I believe the whole movement depends on our ability to do so. We can be the most influential when our messages towards one another and the outside world are filled with the spirit of the entire movement. Connection counts. The person receiving the message will be more open to hearing the message if you communicate it with kindness and compassion. You perhaps have heard the quote, “They may forget what you said, but they will never forget how you made them feel.” – Carl W. Buechner. Isn’t that the truth? It’s very unlikely that you’ll be able to talk someone into fully embracing the HAES paradigm after an initial interaction, especially a bad one. If you’re lucky, you’ll be able to plant a seed. If you communicate with love and compassion the recipient will be more likely to return to you for future exploration because he or she feels safe, heard and appreciated. And that individual may even explore the resources you provide, seeing you as someone who is trustworthy and who really cares. It’s the right thing to do. Regardless of your spiritual beliefs, we can all probably agree that love wins. We find ourselves cheering for Rey and the rebel forces, Superman and Harry Potter because we like “good guys” and we don’t care much for the dark side. And while telling someone off either in person or on-line doesn’t automatically make you a “bad guy,” every little movement towards love is a tiny step away from hate. And that’s a good thing. If the movement is a movement centered on acceptance, then the least we can do is to aim to accept others as they are. We don’t have to agree with them, but we can accept them as human beings doing the best they can. One of my favorite quotes is, “Hurt people hurt people.” In other words, individuals who lash out and draw battle lines are usually hurting inside in ways we may never be able to fully grasp. At times, there may be a need for healthy boundary setting. Regardless, tactics such as revenge, manipulation, insulting or berating the person aren’t going to help. We may need to love from afar, but we can still choose love. My pastor once said, we’re all like giant porcupines trying to get close to one another. And we unintentionally poke each other, the closer we get. When we tuck in our spikes the best we can, it makes others want to tuck theirs in too. Be respectful. Shouting and cursing don’t do much to gain respect. It just makes you sound angry and mean. Consider word choice carefully. It may even be helpful to spend a few days mulling over your response if you feel triggered to attack. Ask-offer-ask. Find out from the person you’re engaging with what he or she already knows about the Health At Every Size movement. Make an attempt to understand a bit about the person’s story before sharing the message. Before providing information, ask the person you’re engaging with if he or she is interested in hearing it. This simple ‘ask permission’ question can work wonders in demonstrating respect for the individual’s autonomy and choice. Affirm. It’s amazing what a little affirmation can do to support the rapport-building process. A phrase such as, “you seem to really care about your health,” can really disarm an angry or hostile person. Aim to build others up instead of breaking them down by constantly being on the lookout for character strengths in those with whom you engage and communicate the strengths you see. A little love goes a long way. The golden rule from grade school still applies – let’s be a community of HAES advocates who treat others the way we want to be treated. “Hatred paralyzes life; love releases it. Hatred confuses life; love harmonizes it. Hatred darkens life; love illuminates it.” Martin Luther King Jr. 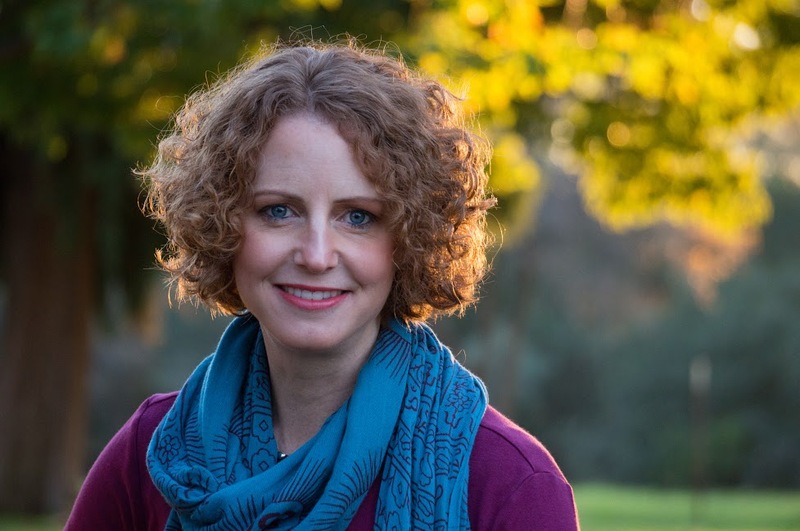 Dawn Clifford, PhD, RD is an Associate Professor and Director of the Didactic Program in Dietetics in the Department of Nutrition and Food Science at California State University, Chico. In addition, she co-founded and is the current director of FitU, which is a peer mentoring nutrition and exercise counseling program on campus. Dr. Clifford conducts research and is an accomplished speaker in the areas of motivational interviewing and Health At Every Size®. She is a member of the Motivational Interviewing Network of Trainers and recently authored Motivational Interviewing in Nutrition and Fitness. In addition, she is a co-chair of the ASDAH Education Committee. Thanks Laurie, glad you found it useful. I am the kind of person who tries to stay calm and polite in my activism, probably because I have a lot of different kinds of privilege going for me and I am not usually “fighting for my life” in situations where I’m challenging someone’s assumptions. So for myself, personally, I can agree to try not to shout or curse when I’m introducing others to the idea of HAES and to listen carefully to others. My difficulty with this piece comes with the idea that no one should shout or curse or sound angry or mean. As far as I can tell, this is very close to tone policing or the tone argument, used to derail discussions about injustice. I have a lot of thin privilege and I am still incredibly angry at the lies and harmful stereotypes and medical malpractice that go on and on every day in our health-at-only-one-size world. Most of these insults and injuries aren’t directly aimed at me, so I can only imagine what it’s like to be taking the full force of all of them day-to-day. It is totally reasonable to be furious about all of it. And I support anyone who wants to express their feelings in shouting or cursing, even if it might lose HAES converts. It’s not a pyramid scheme where we only get healthier when we entice others to join, we get healthier when we take care of our own health, and that includes expressing our emotions and advocating for better care. I’m not advocating attacking others, but sounding angry about injustices isn’t an attack. I don’t see how we can bring about a real peace if people facing steretypes and prejudice have to keep listening politely to insults and asking nicely for the doctor to pretty please not deny them real medical care this time. Especially in health care situations, there often isn’t an opportunity for taking several days or even several hours to formulate a reply that will pass some arbitrary ‘doesn’t sound angry or mean’ standard. These suggestions do certainly have value – in discussion forums, when someone has extra emotional energy to spare, when someone’s goal IS to win converts, or when not rocking the boat is important (like in a disagreement with one’s boss) – but winning respect or converts or just winning a disagreement aren’t the only goals people have. Expressing feelings, demanding sound medical treatment, letting off steam, etc are valid, too. If someone is ok with injustice unless the oppressed people are nice enough or polite enough or educated or anything else enough… that person is ok with injustice. If this piece had been advice for people who to win converts or who are trying to have more productive conversations it would be great, but as directions for everyone involved in HAES it suggests that only one kind of activism is valid and even MLK disagreed strongly with that. I do go on and on, don’t I? Thanks for reading all of the way through! I didn’t get the feeling that these tactics were meant to serve us in every situation. Personally, I’ve made it more of a practice lately to keep a modulated tone, but it’s not so much to win converts: I’m not sure that can be done with a single exchange on one board anyway. It’s more to save my own energy and to remember that I used to be in the place where my opponents are now. I can be civil for my own mental/emotional health first. If that helps the people I’m debating with, great. But that’s not my first concern when I consider my delivery. Great points, Pilar. I appreciate your thoughtful comment and I read the whole thing. 🙂 Yes, you are absolutely correct in saying that we all get to decide how to react and respond and I’m so sorry that you felt tone policed by my blog. It sounds like voicing anger has been effective for you in helping others understand. That just hasn’t been my experience. And of course, as someone with privilege (many forms), I always have much to learn about the experiences of others. I’m so glad that you helped me (and others reading this post) to see this perspective. Thank you! Great advice! Life and activism requires a balance between principle, and the reality of arguing for a minority viewpoint without losing your sanity. I especially liked Dr. C’s section on agreeing to disagree. I also believe that compromise is at times absolutely essential. But all coming from a loving place–sometimes we have to remind ourselves (again) of that idea! Thanks for sharing your experiences and thoughts Dawn. I found it an interesting read from the point of view of how ideas grow and gain traction too. For example, the term ‘Body Respect’ pre-dates the book I wrote with Linda (that you credit it to). The term was being used in HAES/size diversity work in Iceland and the UK for several years before this book was published, so your blog was also food for thought about the role of place in community knowledge creation.